Thats one $1,400.00 investment thats hard to top. The sale of him ranks right up there with the guy who turned down The Beatles for a recording contract..... but at least they thought the horse was okay - just injured. Loved his winterbottom win beating the cat and the way he blew them away in the TJ was fantastic. The Beatles' audition tape was utter garbage. No sane person in the universe would have accepted that. And wouldn't you know, all of us can check it out. They owe a huge debt to George Martin. YOU had a foal by HIM? Sounds mighty painful Wiles. I guess prison holds no fear for you. I was there with the wife and kids at Ascot the day he pipped Apache Cat. I thought AC had him covered all the way but it was one thing to get up to TT. Another bloody thing to get past him. I guess we all love good-news taxi stories. It was an amazing story. The horse was originally purchased by the late John Morish for clients who paid a lot for him. Morish failed to get the best out of him and Joe picked him up at a tried racehorse sale for peanuts (think it was $5,000). Joe used to train him as a hobby between shifts working as a taxi driver. The rest is history. The sort of story that would make good television. Joe probably got him fit by taking him the long way around the course. Old habits die hard. I think you will find Joe paid $1375 for him ($1250 +GST). He was unraced when Joe got him. John Morish had him first, but he had bad feet and Morish had been unable to get him to the track and gave up on him as a racing prospect. Probably not one of John's best decisions as a trainer. Thanks mate. It is a great story! PP....Poor john it wasn't his only bad decision...climbing through a fence with a loaded rifle was a real big one it cost him his life....a real gentleman but obviously jinxed in a few fazes of his live. I know Kool. It was a very sad ending. HUNGARY'S most famous racehorse Overdose, who was dubbed the Budapest Bullet due to his terrific speed, has died at the age of ten from colic. Bought for just 2,000gns at Tattersalls by owner Zoltan Mikoczy, the sprinting sensation Overdose put his nation on the racing map during the latter half of the noughties with trips to Longchamp, Baden-Baden, Haydock and Royal Ascot. Overdose's career was one of class and controversy. Unbeatable in Hungary, his legend grew courtesy of online videos of his destructive wins from the front. The 'Beast from the East' obtained near mythical status with his romps against lesser opposition, but in 2008 he added real substance to his claim to be Europe's best sprinter when coming home clear in the Prix de l'Abbaye at Longchamp. But what should have been a first Group 1 success was snatched from him after Fleeting Spirit's stall failed to open, resulting in a void race. The fact Overdose's winning time was quicker than that clocked by Marchand D'Or when landing the re-run, which Overdose did not contest due to his earlier exertions, only heightened the feeling he had been hard done by. It was a wrong he was never able to right. A British campaign was mooted for 2009, but a reported foot problem first delayed, and then caused the plan to be scrapped. His owner's arrest, along with his trainer Sandor Ribarszki moving country and a further setback all raised the very real fear his blistering speed would not be seen again. 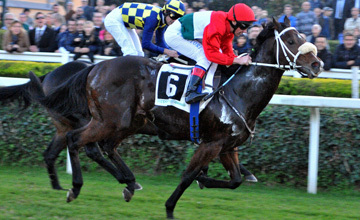 But in July 2010, after 15 months off the track, he returned with victory in Bratislava for new trainer Jozef Roszival. Another victory in Hungary followed and Gary Hind, who rode him on those two starts, paid tribute to the speedster. He said: "Riding Overdose was one of the highlights of my career. He provided me with two great days. The second, when I rode Overdose to victory at Kincsem Park in Budapest [he won by ten lengths] in August 2010, was the highlight of the second part of my career, when I was riding away from the UK. "The tribune was packed and leading Hungarian politicians were there. It was obviously a big deal not just to the racegoers, but for the whole country and he won so impressively. I was caught up in the euphoria of it - they played the national anthem at the presentation and I was a bit overwhelmed by it all, but afterwards in a quieter moment I reflected on the day and was so happy about what had happened. "I suppose I played the same part in Overdose's career as I did when I rode for John Gosden- where I helped bring the two-year-olds on, here I was helping Overdose get his career back on track after serious injury. It's very sad to hear the news of his death." After those two races under Hind he was stepped into Group 2 company at Baden-Baden with Christophe Soumillon in the saddle and tasted defeat for the first time in the Goldene Peitsche. His 2011 campaign started with victory in Hoppegarten, and ended with a Group 3 success at the Capannelle, with the Budapest Bullet finally making it to Britain in between where he was defeated in the Temple Stakes and King's Stand Stakes. He was due to start his 2012 campaign on Dubai World Cup night but another injury ended his career. His legacy could continue as he sired his first foal arrived at Haras de l'Aumonerie in Normandy earlier this year. LEGENDARY chaser Kauto Star has been put down after sustaining injuries as the result of a fall in his paddock. The Clive Smith-owned superstar was hospitalised and given intensive medical treatment at the Valley Equine Hospital in Upper Lambourn with the team working hard over the weekend to try and save his life after Wednesday's fall. He was put down at 3pm on Monday, in the presence of Smith and veterinary assistant Hattie Lawrence, when his condition deteriorated. Smith said: "I am devastated. He had been turned out in Laura's [Collett - rider] paddock, as has been done normally with him at this time for years, and he looks to have jumped something, and stumbled, we're not really sure, but he injured himself - and it became obvious it was serious. "The vets at Valley Equine Hospital did all they could but it became increasingly apparent the injuries were too serious and that it was in the horse's interests to be put down. "I have to say Hattie Lawrence and the vets at Valley Equine Hospital did all they could and more. Kauto was kept comfortable throughout and not in pain when the decision to put him down was taken." In her report detailing the injuries that resulted in the dual Gold Cup winner being put down, Lawrence wrote: "Three bones appear to have been fractured, the ilial shaft, tuber ischi and the greater trochanter of the femur. "There also appears to have been a fracture to the spine at the base of the neck, probably between C6 and T2. This ultimately was the most significant injury as it produced the paralysis that made it impossible for him to stand. "The secondary problems that contributed were pneumonia as a result of being cross tied and unable to put his head down, and laminitis which was the result of the toxins in his body and having to stand for so long. "It is always very upsetting when we are unable to save any horse but when it is a horse which means so much and has given so much pleasure to so many people it is particularly sad. "Our thoughts are with all those associated with the horse and in particular Clive Smith who was involved throughout his treatment and was present when the decision was taken to humanely euthanase the horse. " The 15-year-old won 23 of his 41 races, including winning the King George five times and Cheltenham Gold Cup twice. 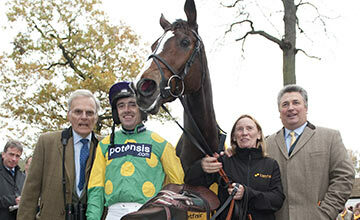 Bought from France by Smith and trained by Paul Nicholls, Kauto Star won 16 Grade 1s. His first victory at the highest level came in the 2005 Tingle Creek at Sandown, a race he won again the following year. Kauto Star won his first King George at Kempton in 2006, winning every running through to 2011 bar the 2010 renewal at the course which bears his statue. There is also a statue of the great horse at Haydock, where he won four Betfair Chases between 2006 and 2011. His Gold Cup victories came in 2007 and 2009, when he became the first horse to reclaim the Gold Cup. Boban deserved a long and luxurious retirement as all racehorses do. Very saddened. FIVE-time Group 1 winner Boban has died after a freak paddock accident on Sunday night. His death comes just two months after trainer Chris Waller announced his retirement alongside fellow multiple Group 1 winner Catkins. 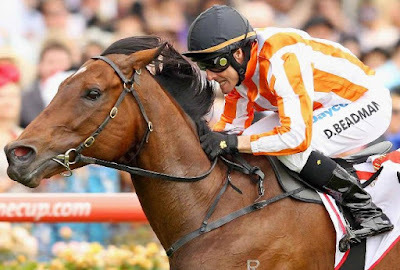 The six-year-old gelding won over $2.8 million, a handy return on his $100,000 sale price and along the way picked up Group 1 wins in the Chipping Norton, Emirates Stakes and the Epsom. One of his most memorable wins came in the Group 1 Doomben 10,000 last year when he had not won for more than 14 months. How cruel and fickle racing can be? Newhaven Park's Kelly family, trainer Ron Quinton and jockey Sam Clipperton were all left devastated over the weekend after group 1-winning mare Peeping died on Friday night of a colic attack. It was almost two months to the day since her last run, a heart-warming success in the Coolmore Classic. It was Clipperton's maiden group 1 win and Quinton's first in four years. Who knows what she could have done in the spring? Or at stud? "We were privileged to be involved with her," owner Tom Kelly said. And many would consider themselves privileged to have watched her.